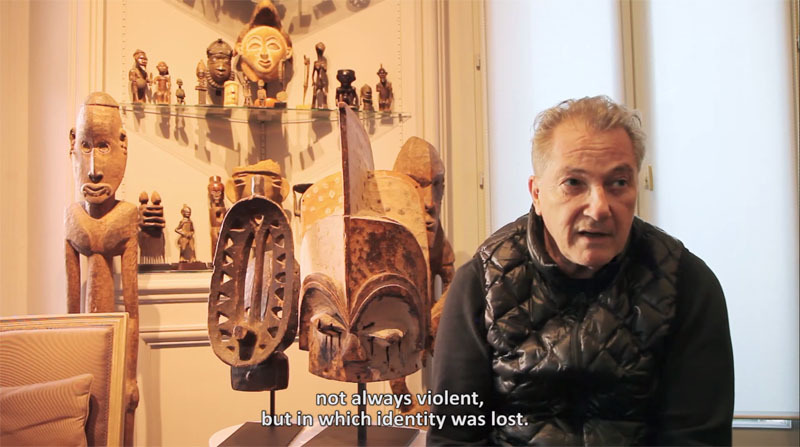 Attia’s recent film The Body’s Legacies (Part 1: The Objects) is an extensive account of testimonies by academics, scholars, collectors, and museum directors from Canada, the US, Ivory Coast, and many other locations, relating the histories behind bodies and artifacts from the world over. Kader Attia’s work has been shown in group shows and biennials such as the 12thShanghai Biennial; the 12th Gwangju Biennial; the 12th Manifesta, Palermo; the 57th Venice Biennial; dOCUMENTA(13) in Kassel; Met Breuer, New York; Kunsthalle Wien; MoMA, New York; Tate Modern, London; Centre Pompidou, Paris; or The Solomon R. Guggenheim Museum, New York — just to name a few. Notable solo exhibitions include “The Museum of Emotion”, The Hayward Gallery, London; “Scars Remind Us that Our Past is Real”, Fundacio Joan Miro, Barcelona; “Roots also grow in concrete”, MacVal in Vitry-sur-Seine; „The Field of Emotion“, The Power Plant, Toronto; Museum of Contemporary Art, Sydney; “Repairing the Invisible”, SMAK, Ghent; Museum of Contemporary Art, Sydney; “Sacrifice and Harmony”, Museum für Moderne Kunst, Frankfurt; “The Injuries are Here”, Musée Cantonal des Beaux Arts de Lausanne; “Contre Nature”, Beirut Art Center; “Continuum of Repair: The Light of Jacob’s Ladder”, Whitechapel Gallery, London; and KW Institute for Contemporary Art, Berlin.